As you know, the Elder Scrolls Online's console fans have been waiting anxiously since February for the Wrathstone DLC (Downloadable Content). But now, they do not need to wait any longer because ZeniMax Online Studios have already announced that the DLC is available now for Xbox One and PlayStation 4. The player's task in The Elder Scrolls Online is fighting their way through the dungeons to get back both halves of the Wrathstone tablet. Frostvault will lead you through a trap-filled, automaton-occupied, Goblin-inhabited, Dwarven vault while Depths of Malatar sends you to an ancient Ayleid ruin, which is hidden under a secret Imperial Fort. You should know that both dungeons can be finished in Normal, Veteran, and Veteran Hard Mode difficulties. If players complete these four-player challenges, they will be rewarded with unique collectibles and powerful new item sets (which sounds very cool, but can they reward with plenty of Elder Scrolls Online Gold? That is what I concerned the most, need that urgently!!! ), a new skin and a non-combat pet are also included. 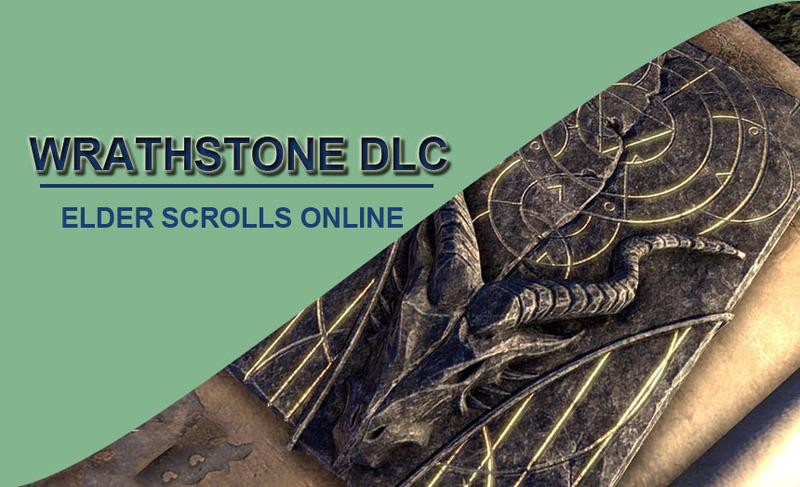 What's more, the Wrathstone DLC game pack is totally free for ESO Plus members, and for everyone else, they can purchase it from the in-game Crown Store. This new DLC comes alongside Update 21, which brings a series of new features and improvements free for all gamers. PvP rewards, a Guild Trader update, a new Battlegrounds map, Passive Ability changes, and much more are included. Now you can check out the latest update, as well as the Wrathstone specifications on the game's official site.